Buku ini terdiri dari beberapa bab, bab pertama Parts of Speech (Pronoun, noun and verb), bab kedua Part of Speech (Adjectives and Adverbs), bab ketiga Part of Speech (Interjection, conjunction, preposition), bab keempat Simple Present Tense, bab kelima Present Continous Tense, bab keenam Present Perfect, bab ketujuh Simple Past Tense, bab kedelapan Past Continuous tense, bab kesembilan Past Perfect tense, bab kesepuluh Simple Future tense, bab kesebelas Passive voice dan bab terakhir Conditional Sentences. Intermediate structure is designed to help all students in mastering English grammar that is sometimes applied in daily conversation and written text. It also facilitates students to understand and to answer their curiosity related to comprehending grammar. The basic premise is that grammar should be meaningful and easily understood by learners. This book consists of twelve units which describe material about parts of speech, tenses, passive voice, and conditional sentence. Each unit is completed by goals of the lesson, description, and practices. After finishing each section, learners will be provided by “review” to evaluate their comprehension of the material. The book can be used by all students with some knowledge of English on working in group or individual. Best of all, when students understand the underpinnings of English, learning will be fun. 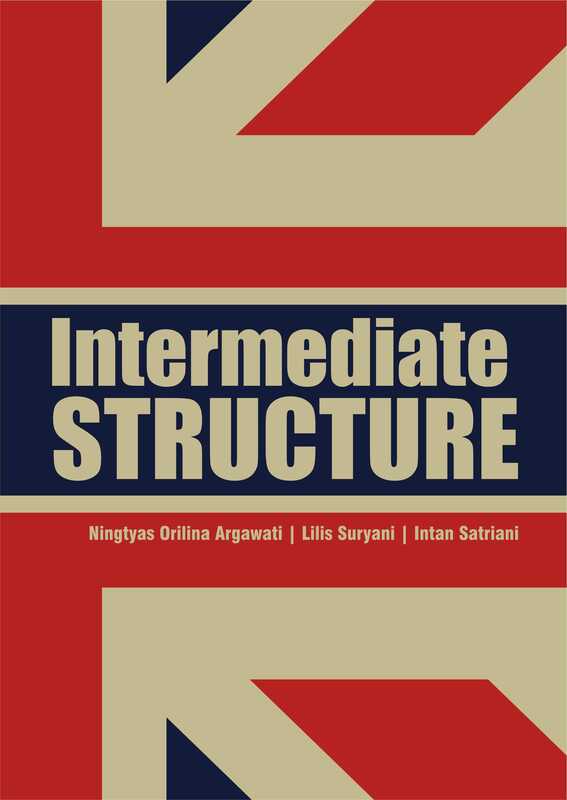 Buku Intermediate Structure ini diterbitkan oleh Penerbit Buku Pendidikan Deepublish.